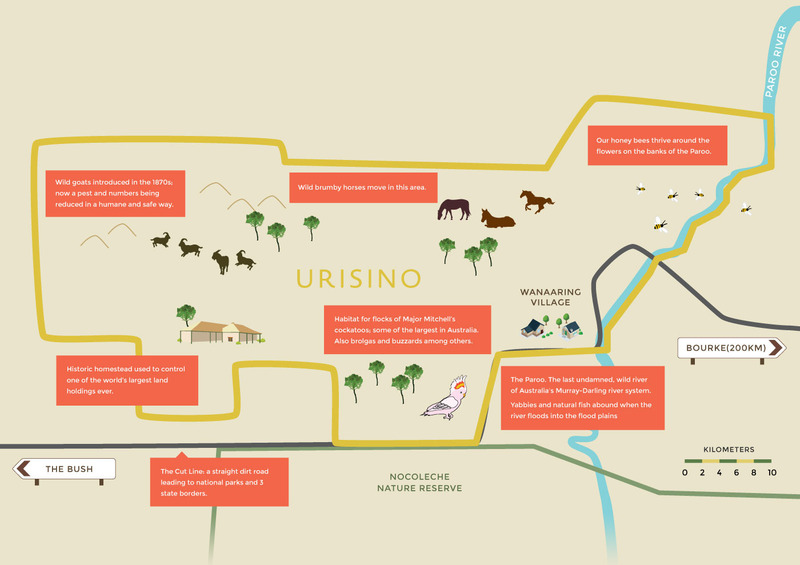 The Urisino Ecosystem Project is bringing back to life the large, historic Urisino station area in the far west of New South Wales, Australia. The Urisino cattle station has a rich Australian heritage but with overgrazing by cattle and feral animals it became a virtual desert. Now after nine years the land it is coming back to life, greener and more productive than ever. 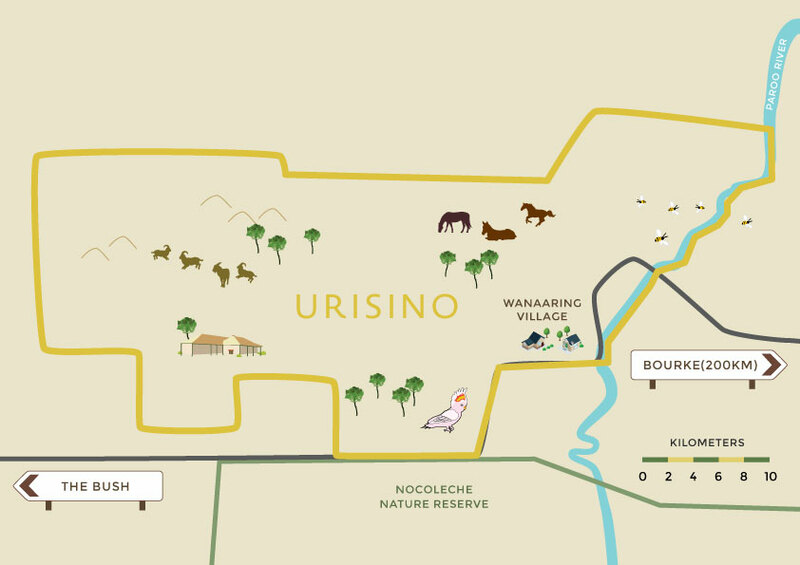 In the process Urisino has become the largest land regeneration project in Australia*. The first of its kind and larger than the country of Singapore! Urisino is 200 miles ‘back o’ Bourke’ in Wanaaring, in the west of New South Wales, Australia. Regeneration is achieved by preventing overgrazing by sheep, cattle, feral horses (brumbies) and goats. By reducing the number of cattle from a high of 10,000 to only a few hundred and humanely relocating the goats and horses to farms via mustering and trapping, the land is able to regenerate naturally. The native flora and fauna such as the mulga tree, endangered birds and snakes, and honey bees that gather around the Paroo river are then free to thrive again. Further benefits of this strategy are the production of organic honey, Chevon (young goat meat), and humane horse relocation. Help us to continue this ground breaking work. Urisino requires ongoing efforts. Various projects are planned, focussing on further regeneration, environmental research, and education. Out goats are fed 100% pasture weeds and are only supplemented with hay in a few weeks of summer. No antibiotics or grain is added. We believe our goats represent the most ethical raising of animals in their native environment that is possible. It has taken us five years to get this little kid.